Plumbing is the water supply system of our house. This system supplies fresh water in the house and also takes away the waste water from the house. Thus, it performs dual function. Plumbing system was rare till 19th century but after that person realised that an efficient system is required for proper water supply and drainage problems which help in better water management and prevent various communicable diseases for which polluted water is the root. Plumbing system mainly consists of pipes or tubes. Earlier these were made up of bamboo, lead or stone etc. The plumbing system consists of two subsystems and tone of them takes fresh water in which is entered the house through pipes in high pressure enough to reach upstairs and another subsystem takes waste water out. The equipment which plumbing system mainly includes are water meters, pumps, expansion tanks among others. The pipes included within plumbing system are either fitted inside the walls or under the house floor. -Portable cold and hot water supply - This system ensure the adequate supply of hot and cold water through pipes. -Traps, Drains and vents - This system allows water to flow freely through traps, drains etc. -Septic system - This is small scale sewage treatment system. -Rain and surface water system - This is the system for using rain water as ground water. -Fuel gas piping- This system ensures efficient gas supply in the house. Thus, for an efficient working of all above systems a well-working plumbing system is needed. 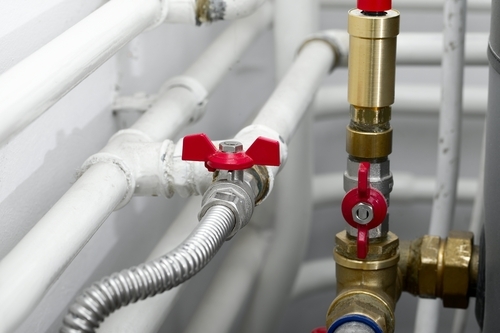 A house's plumbing system is a critical part of a house that needs to be working well. 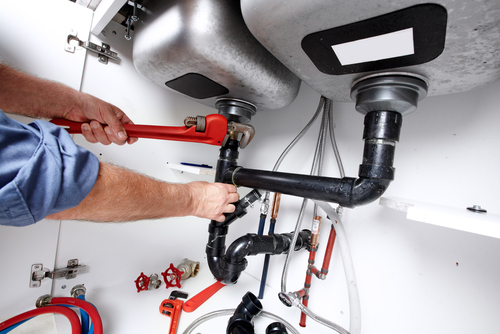 The plumbing system at your home is composed of different subsystems for it to work properly. One example is the subsystem that takes water out of your house and another that supplies clean and fresh water. 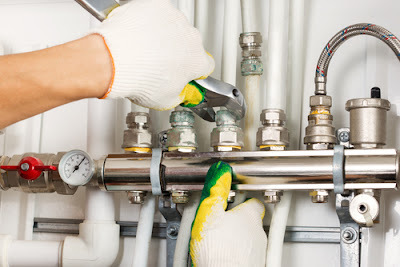 Make it a point to get to know your plumbing system so that you will know how to get it fixed. This article will give you an idea on how your plumbing system works in your house. First part you need to get acquainted with is the main water shutoff valve. It maybe so self-explanatory but you have to learn how to turn it on and off just in case you have emergency plumbing disasters. In case you have plumbing disasters at home then you need to turn off the valve quickly. A burst pipe will surely be able to cause water damage in your house if you leave the water running. Be sure that you know where your main water valve is located as well as how to operate it. Next we have the individual stop valves. These valves are located near some specific fixtures. As a general rule you will have stp valves for your faucets, tubs and toilets. When water is leaking in some of the individual fixtures, you don't have to necessarily turn off the main shutoff valve. The particular stop valve nearest the problem area will be able to stop the leaking water from damaging your house. All you need to do is to shut off the individual stop valve nearest the pipe plumbing disaster. And finally we have the pipes. Make sure that you know how to differentiate between the two types of pipes that are used in your house plumbing. You have the first set of pipes that carries the fresh, clean water that you use in your house and another set that takes away the used and dirty water that was used in your house. It is important that you know the difference between the two, so that in case there is a problem, you know which specific pipe to address. The pipe which brings water in is attached to your plumbing fixture, so it will not be difficult to figure it out. You have just read some of the important things about your house plumbing system. Knowing how each one works will be of great benefit to you in case of emergency.